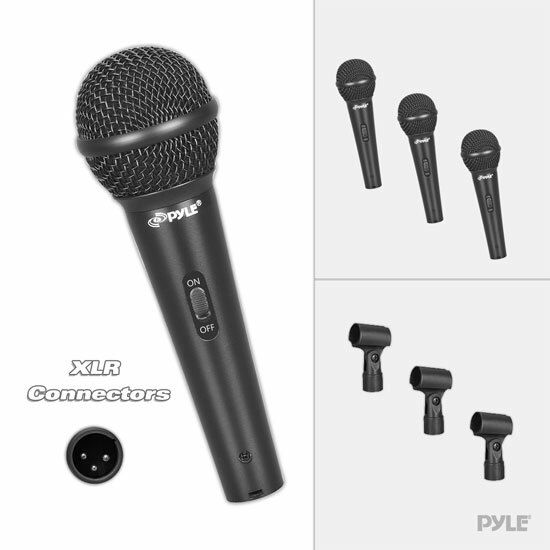 The Pyle PDMICKT80 microphone system was designed with the professional in mind. 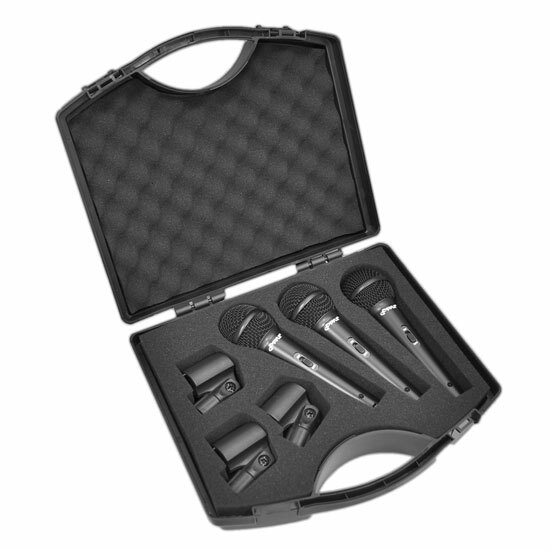 Kit comes with (3) cardioid vocal microphones with XLR connectors and (3) mic clips -- and it's all packed in this convenient travel case. Microphone features include moving coil, dynamic uni-directional elements along with impressive frequency response rates and microphone sensitivity. High signal output gives your voice a clean cut-through and also provides quality performance and reliability when used as an instrument microphone. Perfect for the garage, studio or live performances.